March basketball tournaments are heating up! More and more teams are getting knocked out of the brackets which is making for more exciting games. 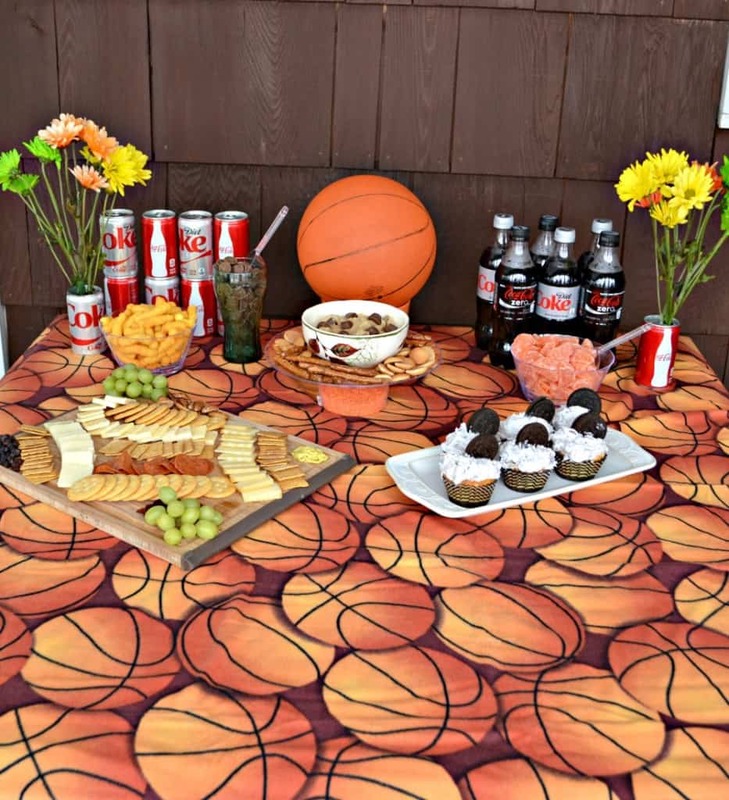 Are you looking to host a basketball party but don’t want all the extra work? No problem! I’m here to show you how to host a basketball party with easy recipes, simple party planning steps, and one stop shopping. Whenever I host a party the first thing I like to do is a make a list of what we are going to have to eat. 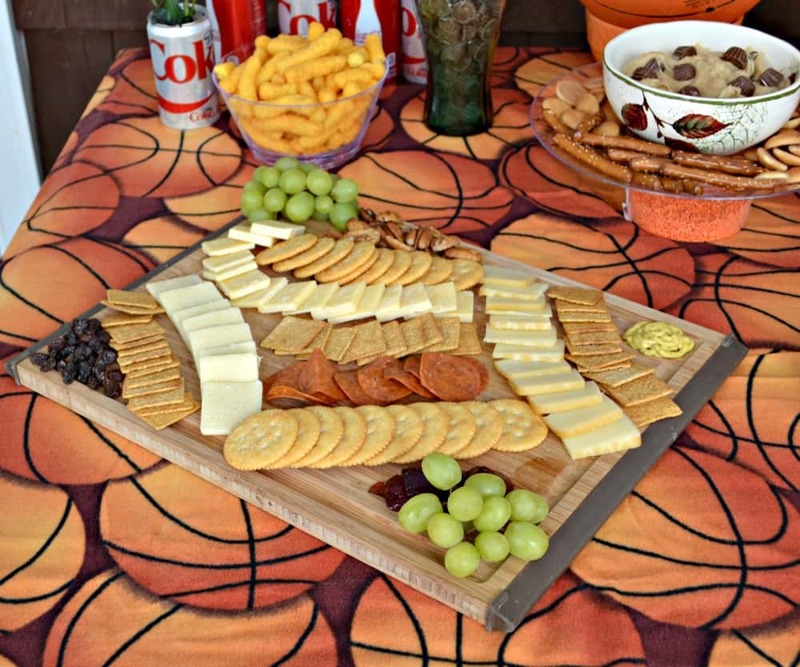 For sporting event parties like this basketball party I usually try to stick with simple snacks. I don’t like to serve anything heavy or things that you have to sit at the table to eat. I want my guests to be able to grab things and go sit on the couch and watch the games. 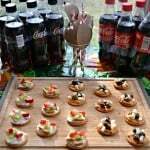 I also try to have sweet snacks and savory snacks so everyone can enjoy the food. After deciding what to eat I make a grocery list. I write down all of the food, beverages, cups, plates, utensils, and any decorations I might need. I usually use disposable cups, plates, and utensils for parties because then I don’t have as many dishes to do at the end of the night. 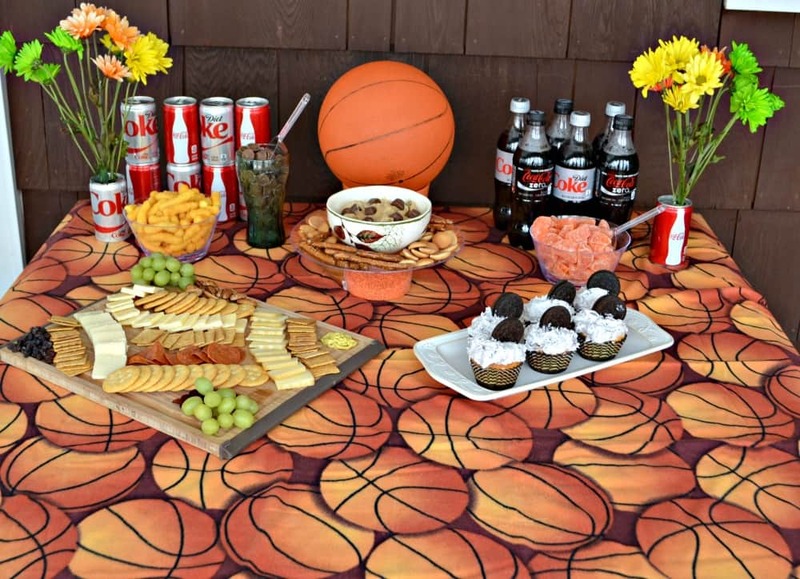 For my basketball party the only decorations I needed were a basketball tablecloth and a bunch of flowers. 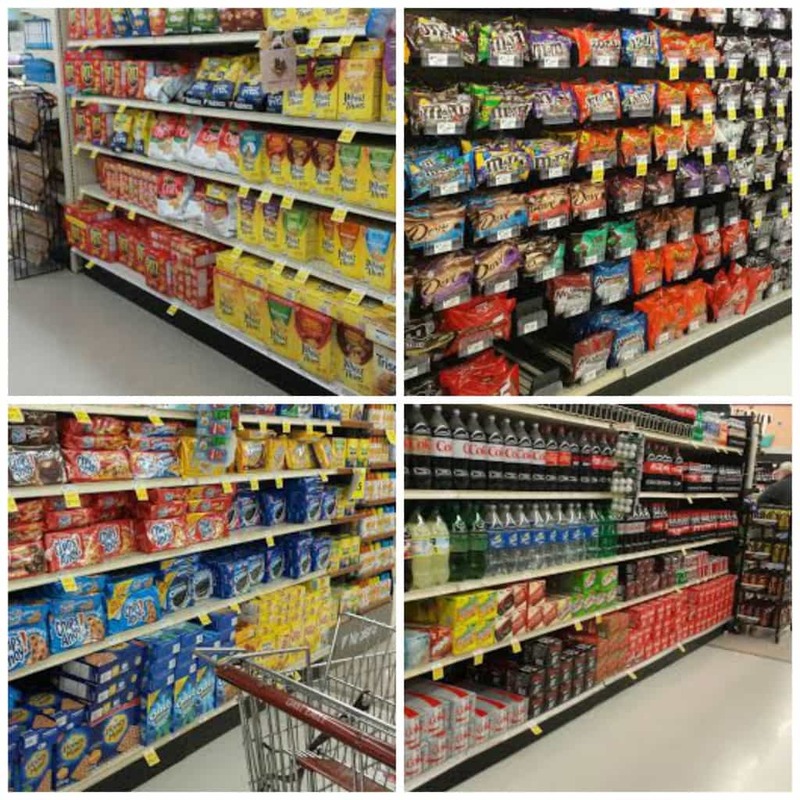 A few days before the party I headed to Giant Eagle which is my one stop shop for all of my basketball party needs. When I got home I got right to work. The first thing I did was to make the Easy OREO Cupcakes because they need to cool before putting the frosting on top of them. I used a boxed cake mix and crushed up some OREO Cookies to put in the batter. While they were baking I crushed up more OREO Cookies and mixed them with the frosting. Once the cupcakes were cool I frosted them and placed a whole OREO Cookie on top. Preheat the oven to 350 degrees. Line 2 muffin tins with 24 cupcake liners. Set aside. In a large bowl mix the yellow cake mix, water, coconut oil, and eggs. Mix until well combined. Place 20 OREO Cookies in a gallon size zip top baggie. Seal. Use a mallet and and crush the OREO Cookies. Remove half of the crushed cookies and add them to the cake batter. Mix until combined. 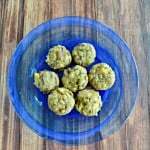 Divide the batter between the muffin cups, filling each ¾ of the way full. Bake for 20 minutes or until a toothpick inserted into the center comes out clean. Cool on a wire rack. Meanwhile, dump the vanilla frosting into a medium bowl. Add the remaining crushed OREO Cookies and mix well. Spread the OREO frosting onto the OREO Cupcakes. Top each cupcake with a whole OREO Cookie. Next up I made my Easy REESE’S Cup Dip. I used the REESE’S Mini Peanut Butter Cups because they are already unwrapped which is great when you are putting them in a recipe. I mixed up the dip and placed it in the refrigerator to chill while I finished getting ready. You can serve this dip with mini cookies, graham crackers, fruit, or pretzels. 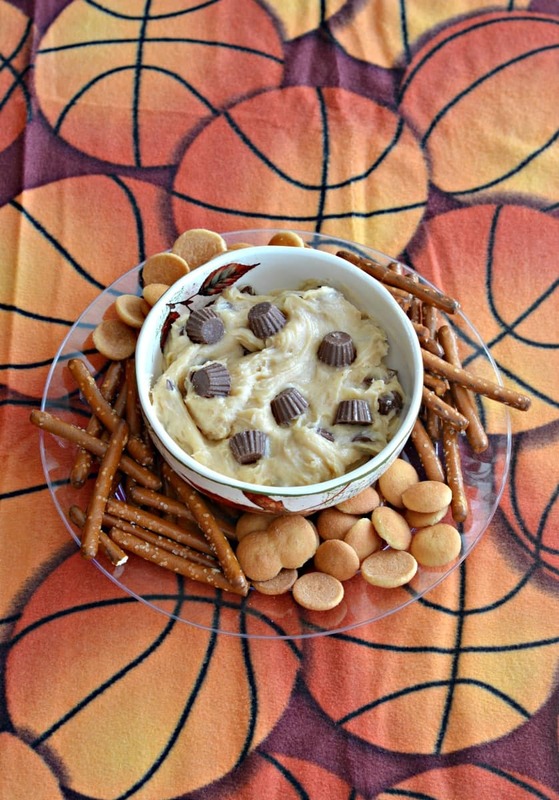 A creamy peanut butter and cream cheese dip filled with Reese mini peanut butter cups. In a large bowl combine the cream cheese, peanut butter, powdered sugar, and vanilla. Mix well until combined. Cut all but 5 of the REESE'S Mini Peanut Butter Cups in half. Add the halves to the cream cheese mixture and mix well. Pour into a serving dish and top with the whole mini peanut butter cups. 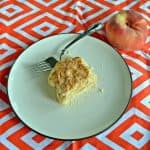 Serve with graham crackers, mini cookies, pretzels, and fruit. After you have everything you need for your cheese board simply set it up in an appealing way. 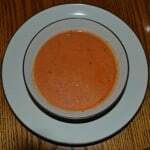 I often put the fruit, nuts, and sauces in the corners and then fill the middle with the crackers, cheeses, and meats. I like to make labels and place them on toothpicks to put with all the cheeses so all my guests know what they are eating. 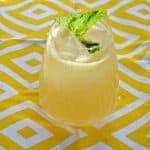 Now that I had all the food ready I moved on to the drinks. I found these fun mini cans of Coke & Diet Coke on special 2/$6 at Giant Eagle and picked up an 8 pack of each of them. 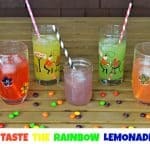 I stacked them on my party table then took one can of Coke and one can of Diet Coke and poured them into a glass. I rinsed out the cans, filled them with water, and stuck flowers in each one to make a cute flower vase! I also put out 1/2 liters of Coke Zero & Diet Coke for those people that wanted larger drinks. 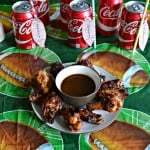 I finished up my party table with a bowl of cheese curls, a bowl of orange candies, and a Coca-Cola glass filled with the REESE’S Mini Peanut Cups I had leftover from my recipe. I set the Coke vases with the flowers on either side of the table. Finally I placed a basketball in the center of my table. Don’t forget to put out the plates, cups, and utensils as well. I placed mine of a side table so they were out of the way of the food and drinks but still accessible. The great thing about this basketball party is that I had everything made, decorated, and set out everything in less than an hour and a half. Not bad for hosting a party with 10 guests! Plus, I purposely didn’t serve any hot food so I could sit down, relax, and watch the basketball games with my friends without having to worry about something in the oven. Want a chance to win tickets to a game? Enter the National Coke Zero Final Four Selfie Contest. 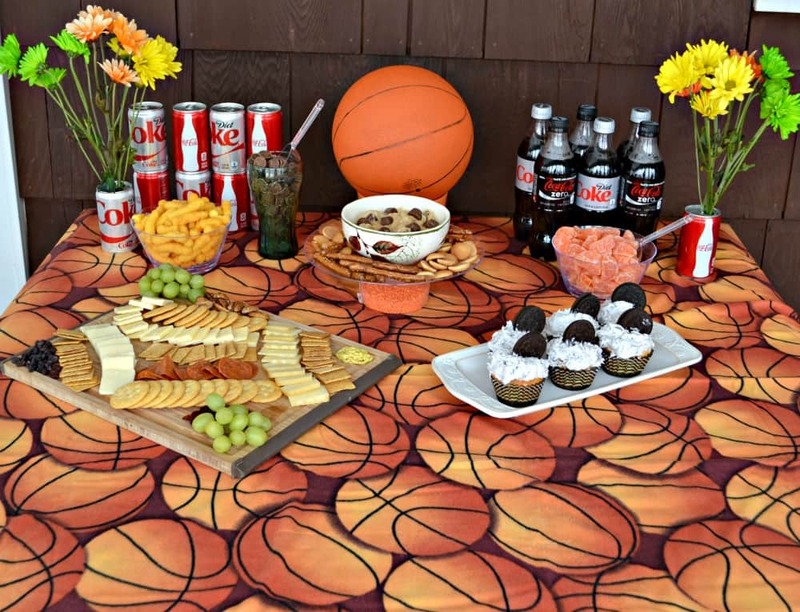 I’ve shared my basketball party hosting tips with you as well as some of my best easy party recipes. Now I want to hear from you! 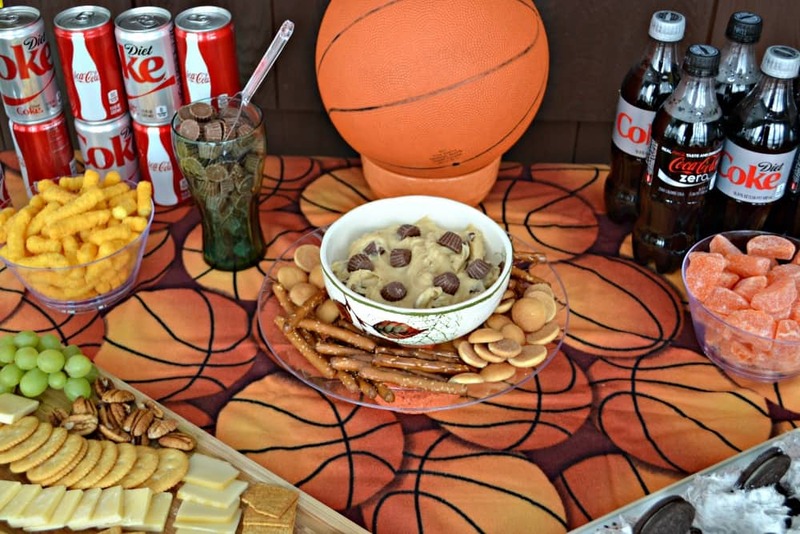 What are your favorite easy party recipes perfect for hosting a basketball party? What a fabulous spread! 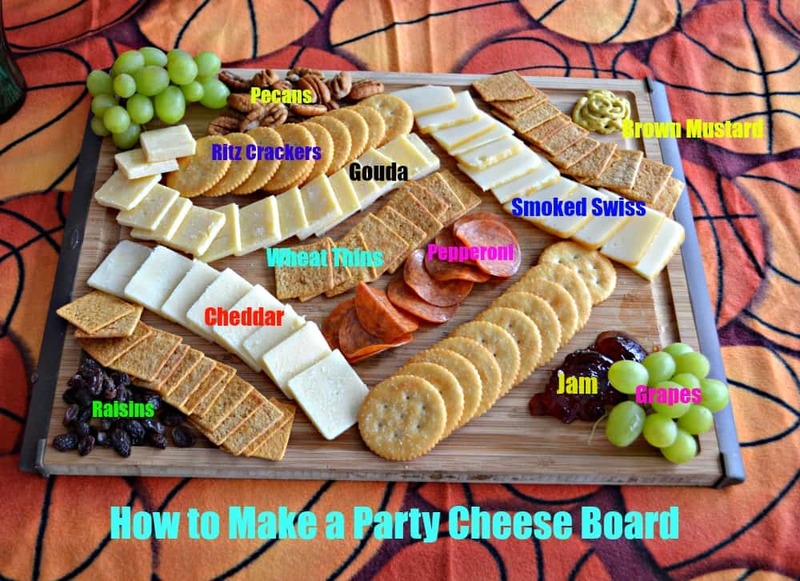 I love your tips for making a cheese plate- I always feel intimidated by that! 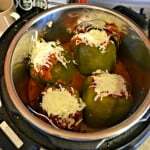 We usually do a few hot dips and veggie tray when we watch the games but I love your idea to do only cold items so you don’t have to fuss. I can’t wait to try that peanut butter dip- it sounds delicious! 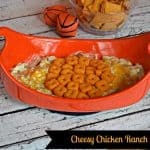 A hot dip is always welcome for a game day party! What an amazingly creative way to mix up normal/everyday candy and snacks! 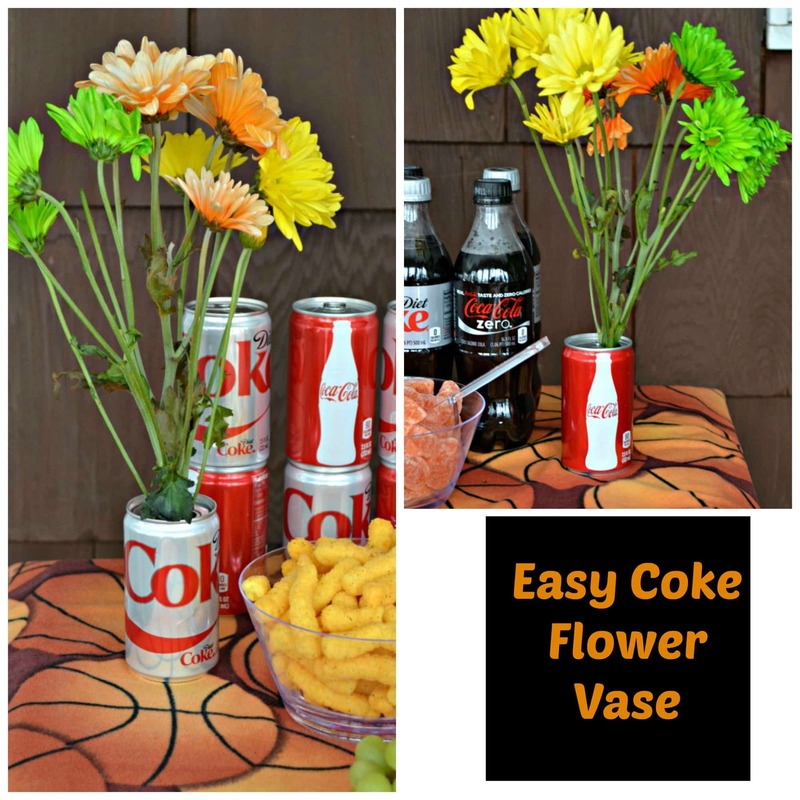 I love the creativity you showed with using the coke cans as vases to set the food table – I’ve never thought of this before! Of all the yummy goodness you’ve shared, the Reese’s Peanut Butter Cup dip has to be my favorite. I can almost taste it now! Love the spread!!! The cupcakes I bet were super good. Thank you! I love the mini Coke cans too. So fun. I want to come to your house to watch the game!! 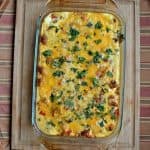 Your dip looks and sounds amazing! Oreos are a weakness of mine and that would be the perfect combination for me while watching sports! Thank you! It was a fun menu! Oreos and cupcakes – my two favorite things!! I want to try to make these cupcakes this weekend. I’ve been looking for a new baking recipe and this one is perfect. And that cheese board! My mouth is watering like crazy right now. It all looks so delicious, Heather! Since we watch a TON of NCAA basketball (even our dog fills out a bracket), this post is particularly helpful for us. 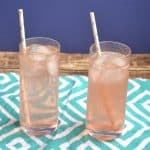 I love how you keep it simple so it isn’t a stressful party planning experience. 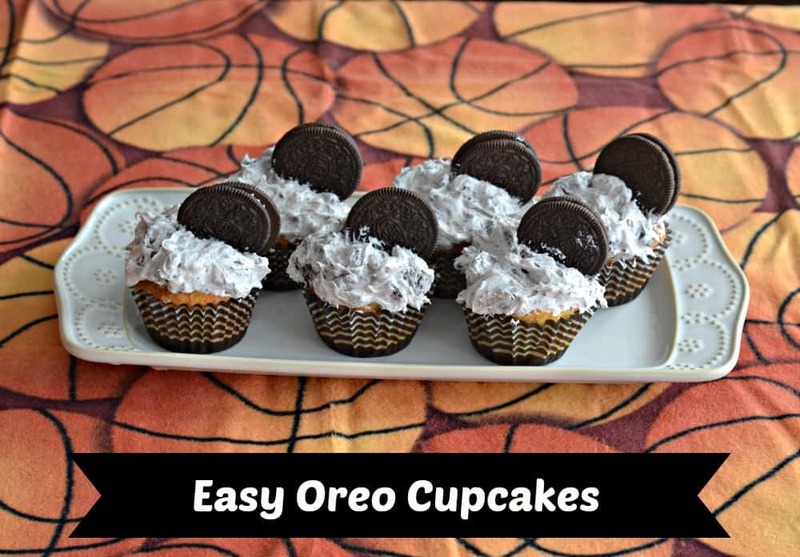 I think the Oreo cupcakes would be a huge hit with my boys….and especially me. Never met an Oreo I didn’t like. I never met an OREO I didn’t like either! That’s so funny that your dog even fills out the bracket. 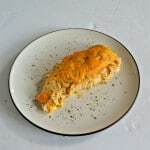 All of the recipes included here are quick, easy, and low stress so you can enjoy the games. LOL! I’m in Maryland. 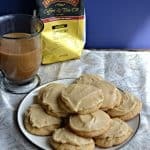 You must try the dip, my husband said it was almost like eating REESE’S cup cookie dough. That looks like some great party food. If we have a party, I like to have some dips, chips, cheese and crackers, some finger appetizers and usually a cake of some sort. Those cookies are too much! I am loving how this entire party came together. I would love to try some of these appetizers too. 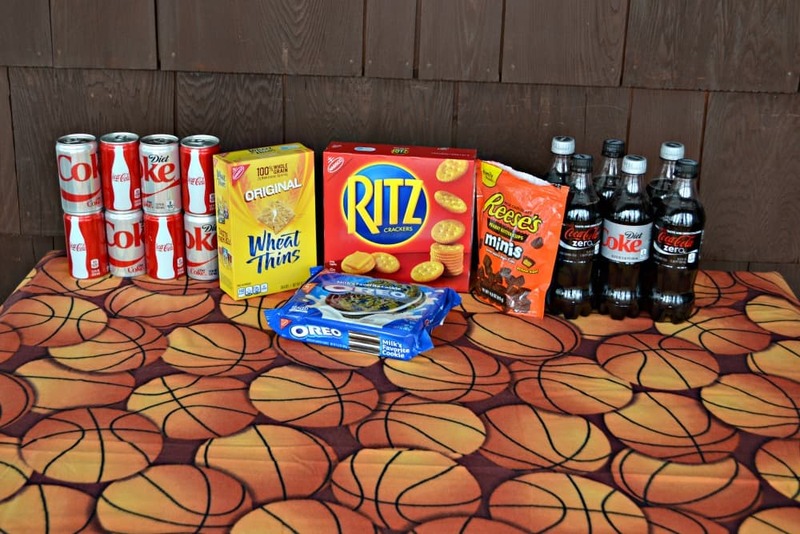 I love Coke products — Coke Zero is definitely my favorite! I just made Coke Floats and had so much fun serving them! I’m most excited to try the Reese’s dip. That mix with pretzels looks fantastic! I’m also loving the flowers in the Coke cans, what great decorating inspiration! 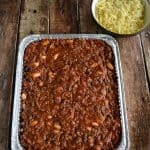 All of these recipe ideas make me excited for the game!